1403 - 29 St. N.W. 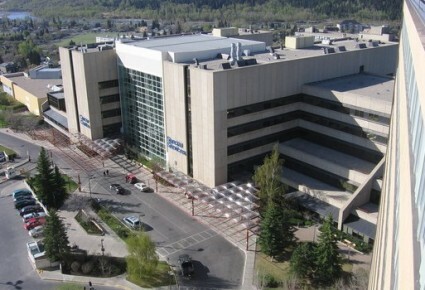 The Foothills Medical Center is the largest academic teaching hospital in Alberta, located centrally in Calgary, approximately 10 minutes from downtown. It is comprised of 3 large towers, including the Special Services Building (SSB), the Main Building and the McCaig Tower (MT). The University of Calgary Medical School with the University of Calgary Medical Center (UCMC) outpatient facility adjoin the Main Building, and the South Tower and North Tower house myriad additional outpatient services. The Teaching, Research and Wellness Building is also on site, where the Forzani McPhail Colon Cancer Screening Center resides, among other services. The FMC Group includes 19 Gastroenterologists and 7 Hepatologists, with diverse interest and areas of expertise.